ST RUBBER extended its range of products by Belgo Prism. In addition to the Belgo Prism Toys, X-MAN SILICONE massage fluids are now also available in the ST Rubber shop. The clear and long-lasting gel could make a massage a exciting and stimulating experience. X-MAN SILICONE is odorless and skin friendly. 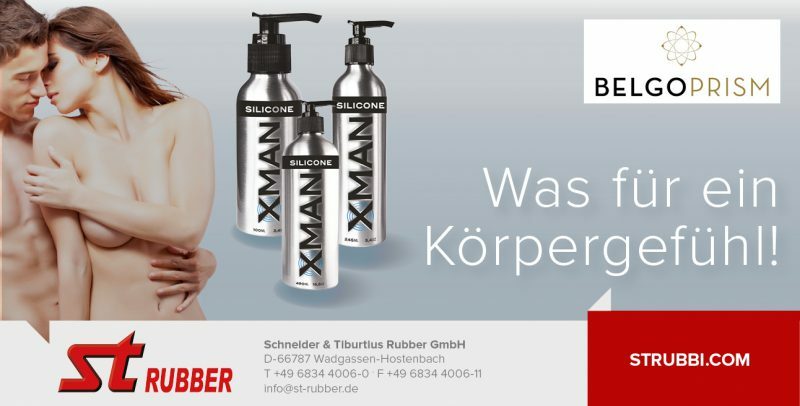 The silicone-based X-MAN SILICONE massage fluids are fragrance-free and available in three sizes: 100 ml, 245 ml and 490 ml.